‘Smart bags’ are a new type of innovative luggage featuring integrated lithium batteries for the purpose of charging an external device or to provide power to the wheels of the bag. 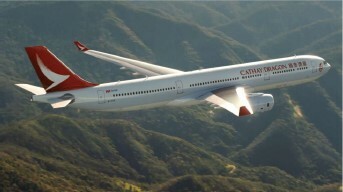 The new policy of Cathay Pacific and Cathay Dragon follows industry guidance recently issued by the International Air Transport Association (IATA). Effective from January 1, 2018, customers who travel with a smart bag must be able to remove the battery in case the bag is to be checked-in at any point during the customer’s journey. Passengers must carry the removed lithium battery in their cabin baggage. It will be treated in accordance with existing spare lithium battery requirements. If the customer would like to take the smart bag as cabin baggage, the battery must be removable and should remain installed inside the bag. If the battery cannot be removed, the bag will not be permitted for carriage as checked or cabin baggage.